Players from the U.S. women’s national soccer team had a very busy week in the media. Last Thursday, there was plenty of buzz about five current players who filed a complaint with the Equal Employment Opportunity Commission against the U.S. Soccer Federation seeking wage equality with their male colleagues. Carli Lloyd, Megan Rapinoe, Rebecca Sauerbrunn, Hope Solo and Alex Morgan filed the complaint on behalf of the entire team. 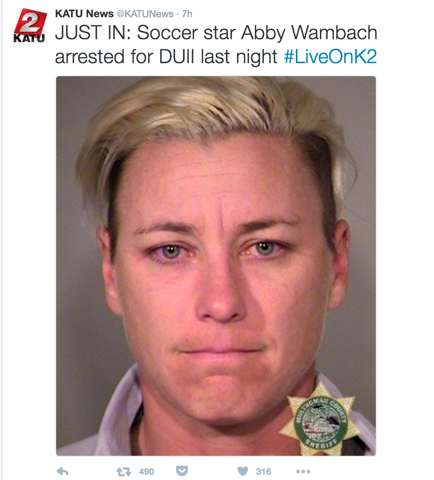 Then, only days later, Abby Wambach, the retired standout on last year’s team, was arrested for driving under the influence in the early hours of Sunday in Portland, Ore.
Five steps forward for women’s soccer, one step back. But Wambach was not going to make her legal issue a long-term problem for her or her former teammates. After making a wrong choice by choosing to drive under the influence, Wambach did everything right when it came to handling both the traditional and social media reactions to the arrest that prevented a massive public relations penalty. Here are three PR-savvy moves Wambach made less than 24-hours after her arrest. 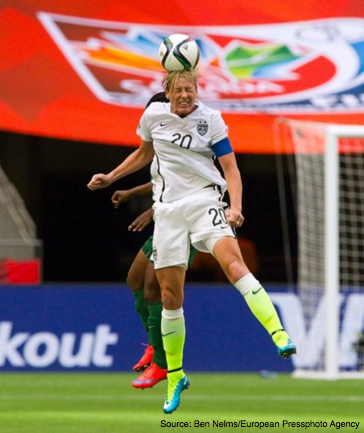 Wambach did not let the turf grow under her feet with her response. Less than 24-hours after the arrest, an apology was posted on her personal Facebook page. A very public space for a very public apology. This PR move sends a powerful message: I’m not trying to hide this. 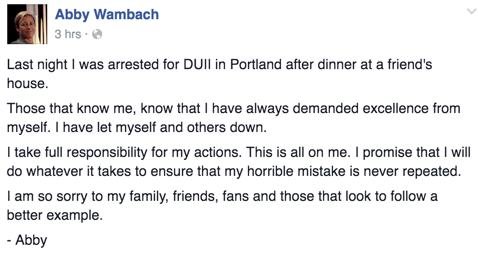 Wambach’s apology posted to her official Facebook page the same day as her arrest. Wambach’s public post was the first, correct step in polishing up her now tarnished reputation. Wambach didn’t waste time or words explaining her situation. Instead, she relied on the basic news standards for reporting a story. We learned the who, what, why, where, and when about the incident from only one Facebook post and then learned how Wambach was going to ensure that mistake wouldn’t be repeated. The viral nature of social media can make a PR crisis an even bigger crisis for the person involved if they don’t – or refuse – to get ahead of the story. Crisis communications in the digital age now show us that if you don’t get your message out on your side of the incident, millions of online users will do it on your behalf. By deploying a martial arts tactic like jujitsu – turning an enemy’s threat into an opportunity – into your digital crisis communications plan, you can (for the most part) outmaneuver the onslaught of negative publicity. Digital jujitsu move? Leave the hard work to the press and the social media masses and release a statement on a personal account. Remember, it’s imperative to use affiliated website or a personal social media account. Wambach used the same message for two accounts – her Twitter post linked to her Facebook page. Count on a police department releasing mugshots online. Official mugshot of Abby Wambach released by the Multnomah County Sheriff’s Office. Digital jujitu move? Have the statement at the ready to counter the mugshot. Count on reporters finding and then posting any image to add to the breaking story. 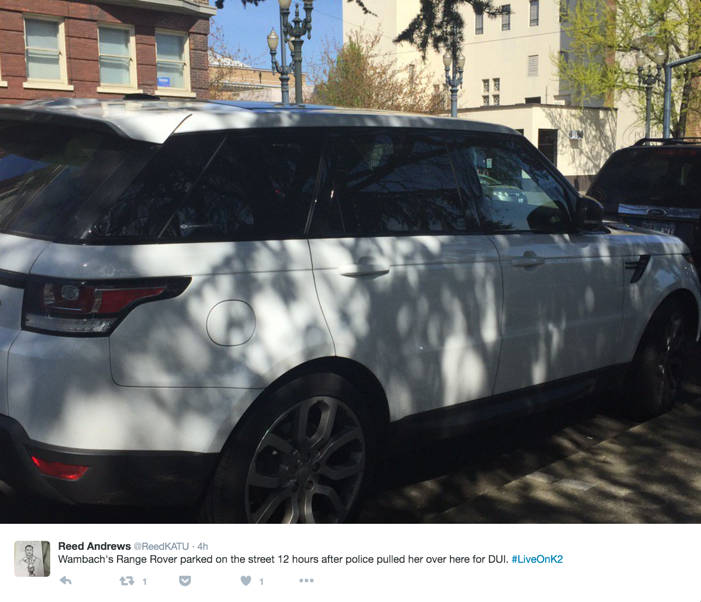 KATU reporter Reed Andrews posts an image of Wambach’s automobile from the location of her arrest. Digital jujitu move? Say nothing; the one message spoke for itself. Worth mentioning, Wambach did not repeat her public response on her official Instagram page. That could be a simple oversight or a savvy social move. Public peeps tend to let their hair down a bit on the social networking site popular with young teens and tweens, making it a less than ideal place to post a serious message. Speaking of young people, according to the Washington Post, Wambach is scheduled to speak next week at Georgetown’s OWN It summit. According to the organizers of the undergraduate-run women’s leadership summit that aims to bridge the gap between female leaders of the 21st century and the millennials who admire them, Wambach is still scheduled to speak at the event. ← From Facebook filters to #ikwilhelpen; social media shows solidarity for Brussels.